Jantien Kahn (b. 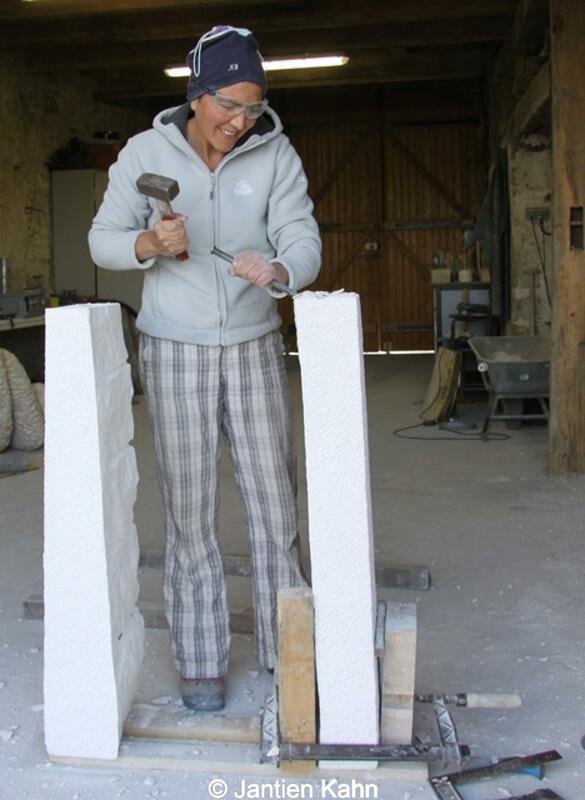 1972) is a stone sculptor, working in Brittany (France). Her workshop is nestled between land and sea in one of the barns of an old farm. Since 2004, Jantien regularly spends time in the Côtes d’Armor (Brittany). 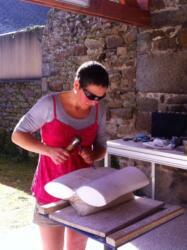 The landscapes and the Breton coastline are a source of inspiration for her sculptural work. After an Artist in Residency in this region in 2014, Jantien decides without hesitation to move her workshop from Amsterdam to the Breton countryside. 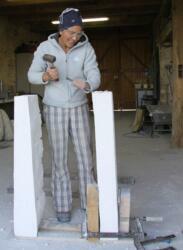 In tandem with her Art Therapy studies, Jantien took sculpture classes with renowned Dutch stone carvers. In 2003 she decided to make sculpting her profession. Jantien is now a full-time sculptor. She regularly participates in exhibitions in both Holland and abroad. 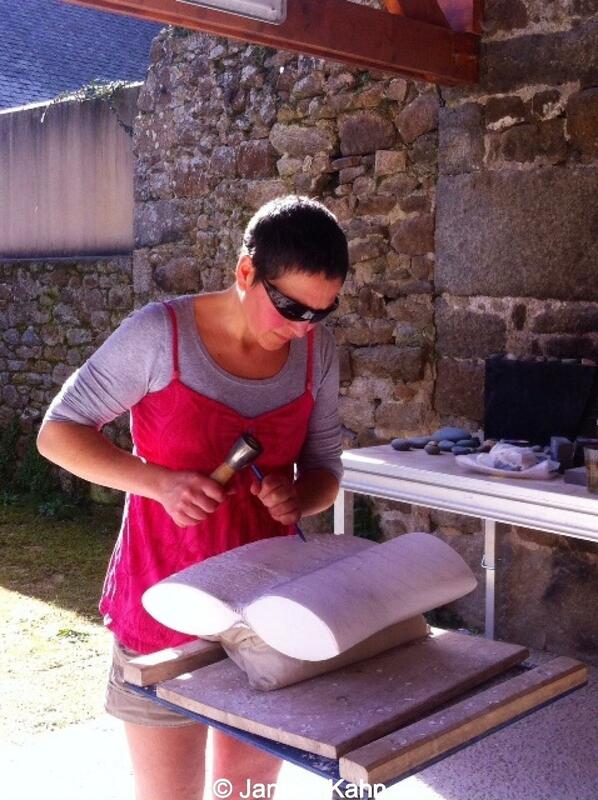 In 2016 and 2018 her work was selected to take part in a prestigious exhibition, exclusively dedicated to stone sculpture in England. Jantien Kahn’s sculptures can be found in private collections in Holland, France and England. The choice of the stone is crucial for the continuation and the purpose of the work. A vein, a fossil, a special irregularity, every roughness is the beginning of a dialogue that creates the desire for design. The delicate chiselling and polishing of each of Jantien Kahn’s sculptures is painstakinglyand meticulously finished by hand. Jantien carefully works the surfaces of her sculptures, exposing the extraordinary colors and structures within the stone. She is able to project the stately qualities of the stone, connecting hardness with softness and liberating the hidden. ‘Traces of time, growth and loss’ form a central theme in my work. In a very abstract way, my sculptures tell us about the succession of generations and the connection between past, present and future. The cyclic movements in nature, as present in the seasons and the tidal action of the sea, are an important source of inspiration to me.